Interaction. I want the blog to be more interactive. I know my posts get comments, but I'd like to see more engagement (more comments, especially from the Silencios as I call you in my head). Apart from that though, I think I need to be more active on Twitter - maybe even host a Twitter chat (#AskBerryDakara or collaborate with others on themed Twitter chats). I'm also toying with the idea of having a Google Hangout or BBM Group. What do you think? Post frequency. Some people blog every single day. I have thought about it myself, but worry about burnout. Additionally, I have noticed less engagement when I have too many posts up per week (strange but true). So while I want to post more frequently, I think I will limit the posts to 4 or 5 a week. Structure. My blogging style is kind of random right now, but I would like to make it more structured. In reading other blogs, I'm learning that some bloggers actually have their posts scheduled for up to a month at a time. I'm not saying I want to copy others and discard my randomness/uniqueness. However, there is something to be learned from more successful bloggers. Post diversity. I would like to diversify the posts on my blog, so that you're getting different things from me. Of course, my silly random thoughts aren't going anywhere (like the one about my Secret Lover). However, I may want to include relationship posts, some DIY, hair posts/advice, style or makeup posts (if I ever get them right), and maybe even a video or two. I actually made a video last year but the person who helped me disappeared and only he and God know what happened to it. So those are the major things I want for the blog this year. As my reader, I really value your opinion, and if you would take a few seconds to let me know your thoughts in the comments, I would highly appreciate it. 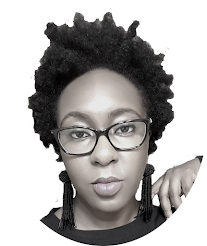 I want to deliver great content to you this year, so help a sister out, aye? Don't have a BBM Group!!! It'll be catastrophic!!!....lol!. Berry, I've noticed that your readers are mostly female, don't you have male readers ni???? Maybe I've been away from BBM for too long... you're right, it can be way too much. I have male readers o. They tell me they read the blog, and which posts made them laugh, but they never comment. Hmm. I'll put up hair posts too so don't worry. 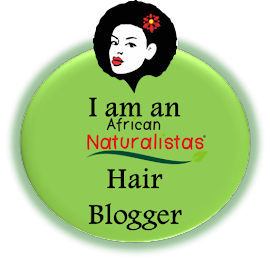 But you know you can always check out African Naturalistas, right? Interaction\post frequency i guess you have a 9 to 5 job,will you be chanced having a google hangout or bbm group? will it not affect your productivity at work? Collaborations,please include product reviews,giveaways and brand affiliations. Google Hangouts, if they happen, would be on weekends. The BBM/Whatsapp group might affect work (heck it's the reason why I'm not active on Twitter). Definitely hope to do reviews and such in the coming year. I love your randomness but yea it would be great to see more reviews,product affiliation on your blog. I think having a BBM group might become too overwhelming eventually except you want all of us to be in your space all the time. Stick to whatever makes you Berry. I actually look forward to your posts weekly. I've been thinking about doing a weekly "AskAda" Twitter series too! I'm thinking about posting a topic at the beginning of the week and then answering the questions on a specific day towards the end of the week. I really like your idea of collaborating with others on themed Twitter chats. I think that a weekly Twitter series sounds cool. Thanks, re: randomness. I'll still be random, but structured :p.
Okay, I'll see what I can do about reviewing some hair products in the future. On the number of posts, I already have 2 per week that must go out - weekend recap and lovely links, so 2 others extra isn't so bad. Yeah! I like the randomness. Both in frequency and theme. But being structured isn't a bad idea overall. Just do what makes you happy and feels comfortable ok. I love the brand expansion/affliliation thingy. Great blogging goals. Way to go Berry. Hey SilentandSweetandSensible (lol), thanks a lot for commenting. The least I will do is 3 posts, and the most I will do is 5 a week. Blogging everyday would definitely be burnout central. Collaboration is a good way to go.. I'm looking to incorporate more of that this year too! That's a good plan. What I'm doing is if I feel a burst of posts, I'll just schedule them for later. Throe your number 3 out, please. Leave that to boring people like us. Your uniqueness is in your randomness. Don't try to be like other bloggers, no matter how successful they seem. Hahaha! Luckily, I get a lot of random thoughts, so I can schedule the posts ahead, instead of posting immediately. mine is to diversify my social media reach. Facebook is starting to get too annoying with all their algorithm changes. The day IG allows for automation would be AMAZING. Best wishes with your blog goals!!! Nice goals. I suggest you also feature other bloggers or people who would help share d link to drag traffic to your blog.